Moenchengladbach/Germany, November 14, 2018 – Virtual truckers can now start to warm up their engines. Today, astragon Entertainment and developer Jujubee announce the release of the mobile game Truck Simulation 19 for iPhone®, iPad® and smartphones and tablets using the Android™ operating system. Original trucks, a huge open world map and more unique futures create an authentic, pocket-sized world of trucking. The impressively vast world of Truck Simulation 19 currently includes the East Coast as well as the Midwest and the South of the USA. Future free updates will soon add more states and cities gradually to cover almost the whole country. Original vehicles in the typical US-truck look complete the image of an authentic US environment. The US truck brand Kenworth® is represented in Truck Simulation 19 by three detailed iconic models. The realistic appearances and the true-to-original cockpits of the aerodynamic on-highway truck T680, the powerful workhorse T880 and the iconic W900 will make every truck fan’s heart beat faster. Additionally, the driver cabs of the Kenworth®trucks can be adapted depending on the distance that needs to be covered. Three powerful models of the famous truck manufacturer MACK® are also on board of the mobile trucking adventure. Owners of the high-performance Mack Anthem™, the strong Pinnacle™ Axle Back and the elegant TITAN BY MACK™ are not only able to change the basic equipment of their truck. They can also customize their vehicle to their heart’s content within a complex customization system until their MACK®truckmeets all their visual requirements. With those strong vehicles, the player is able to transport more than 200 different kinds of freight throughout the United States. In order to load food, building materials, chemicals and more correctly, 12 trailers with different functionalities are available to the virtual trucker. With all this hard work going on, the player should not forget to occasionally refuel his truck, to always mind the permitted speed limits as well as to plan motel breaks to recover some energy. 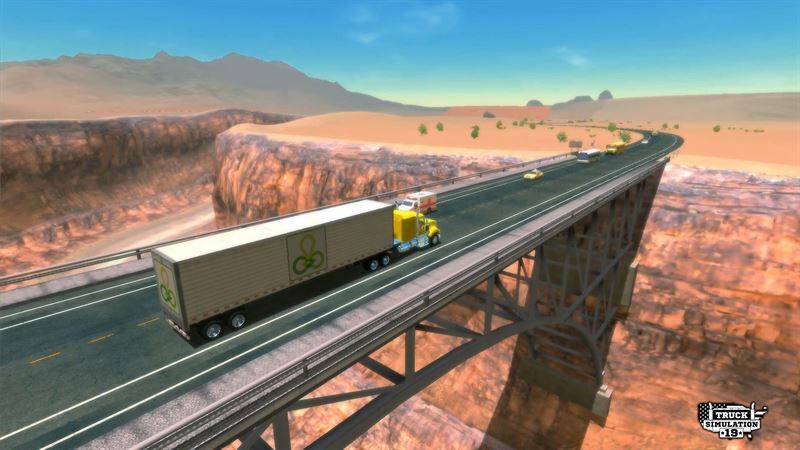 Truck Simulation 19 not only puts the trucking skills of the player to test but also requires a certain level of business abilities to master the management part of the game. Some of the tasks he needs to handle are hiring new drivers, the constant expansion of the company’s truck fleet as well as the instalment of new depots throughout the whole country to further expand the company. By successfully overcoming these hurdles, he will be able to take a shot at becoming the nation’s largest hauler. Truck Simulation 19 is now available for iPhone® and iPad® in the Apple® App Store® for 3.99 Euro/2.99 USD/2.99 GBP (RRP). The game for smartphones and tablets using the Android™ operating system is available for free on Google Play® in a version of limited content. The full version can be unlocked at a price of 3.99 Euro/2.99 USD/2.99 GBP (RRP). Truck Simulation 19 out now! 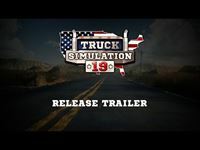 The mobile simulation game Truck Simulation 19 is now available on Google Play and in the Apple App Store! Conquer the highways of the USA on your mobile device: Truck Simulation 19 out now!